Sweden’s study came to the conclusion that prolonged use of mobile phones may contribute to the formation of rare tumors along the nerve leading to the brain. However, even though the study is contrary to others performed by health scientists around the world. EMR should still be of concern. Mobile phones: How much Radiation? Depending on the mobile phone that you are using, will also be dependant on the amount of energy that some on receives when making a call. In the old days (15 years ago) the mobile phones radiated about 1.5 watts of power although the ‘transportable” units were capable of emitting 3 watts. Even though the specifications on any of the mobile phones indicate up to .6 watts or 1/5th of the older bag phones, this is only the outside limit and few phones today can even come close to this figure. This is because that today we have towers closer together and the closer the towers are together the less power is needed to reach them, and the less energy output of your mobile phone. The maximum output power level of your mobile phone is reached when you are furthest away from the tower, or the tower signal level is at the lowest value possible needed to sustain a call. Inside a building, where signals are weakest, chances are your mobile phone operates at a maximum power level….next to your head. The greater the talk time of the mobile phone, the lower the average output power. Since batteries have not changed much in type and storage capability, the only way to get greater talk time is for the mobile phone to transmit at lower power levels. Some cellular phone manufacturers in fact place a restriction on the output power level so that most customers get more talk time. Consider that your mobile phone can operate at full power, next to your head. Now the actual power level 2 inches away from the ear nerve is about 1/10 that of the signal that leaves the antenna. This might not seem a lot, but it is perhaps significant if the constant exposure of the surface over a long period of time persists. The other factors of significance are frequency, time of exposure, skin conditions. The Mobile Industry tests mobile phones compared to a standard that the government set up called Specific Absorption Rate (SAR). This is the unit of measurement for the amount of radio frequency (RF) absorbed by the body when using your wireless phone. This is a maximum level that the mobile phone can achieve, but in most circumstance, it is less than this due to the fact that your mobile phone only emits the power level that it needs to reach the cellular tower. The SAR level is standard for Mobile phones are 1.6 Watts /Kg. The lower the value the less radiation effect the mobile phone has. Radiation is also affected by location of the mobile phone on the body, as well as accessories on the mobile phone itself. What can be done to reduce electrical radiation? In all cases, the point is to move the antenna away from your body, or find a way to lower the output power of the mobile phone. Perhaps the best way to move most of the energy away from your head while talking on the mobile phone is to add an external adapter with an antenna that can be placed away from your body. if you can move the mobile phone 3 feet way, you reduce the signal level that you are getting to less than 1 /1000 of what you are getting with the mobile phone up against your ear. The best way to do this is to add an external antenna with an adapter that connects to your mobile phone. CellAntenna has several of these products, and some of them are even small enough to place in a purse. One such product has suction cups to allow you to attach it to the window of your car or at home also have external magnetic mount antennas that get the signal on top of your car or truck, or our external Yagi and panel antenna that take the signal and placed it even in the better place….outside. The other way of reducing overall EMR at your head inside you home, office or any other building, is to add a building repeater like our SOHO CAE50 or CAE600 packages. What this does is shorten the path the signal takes from your mobile phone to the tower. In other words, without the Repeater, the path that the signal from your mobile phone needs to take is through all the walls or roof, and then the distance to the tower which in many cases can be 5-7 miles. This is why your mobile phone needs to power up to full strength to make the distance and compensate for all of the losses along the way. 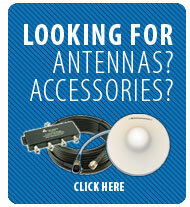 Now consider the CAE50 package, which has an indoor antenna. Now the path that your mobile phone needs to take is only a few feet. That means there is very little power needed to send the signal to the repeater. The Repeater then takes your signal amplifies it and sends it to the tower……The repeater does the work, and your mobile phone remains low in radiated power, cool and your talk time increases! The repeater is more efficient, and stable, the external antenna on the repeater is pointed at all times to the tower…thereby providing the tower with a better more stable signal, and providing you with a better signal coming form the tower. What about the Radiated power coming from the repeater? Not to worry. Our CAE50 only transmits at a power level of 7 dBM or somewhere between 4-6 milliwatts!!! The same reduction of signal from the amplifier that is 3 feet away is 1.1000th the level exists so that if you are close to the amplifier, even 3 feet away radiation level you are receiving is only .006 milliwatts! With a repeater in your home or office, the overall signal levels are greatly reduced…..The same with our larger repeaters as well. Adding a building repeater, makes your mobile phone operate at low levels of power, and reduces the overall radiation for the indoor space. Using a repeater in a hospital allows for the decrease of interference from cellular telephones on sensitive electronic equipment as well. What about that RAD FREE Sticker that you place on the mobile phone? There is no end to the extent some legitimate companies will go to scam the public. The sticker does not work. This is a scam. There is even an FCC bulletin put out telling you this. See our article about this Fraud committed on the public by clicking here So, there you have it. With or without a study on the effects of EMR on biological structures, and whether or not mobile phones can cause tumors, there are benefits that outlay any study of using a building repeater or an external antenna. However, with or without the antenna, we all experience another type of harmful radiation when the person beside you uses their mobile phone….Noise.